Trevor Jenkins is a highly respected and experienced sports commentator. He commenced his radio broadcasting career in 1967 with Radio 6IX and Channel 7 as a racing commentator for both city and country racing. In 1974 Trevor became the Chief Racecaller for 6IX/Seven and held this position for four years. In 1978 he was appointed Chief Racecaller for Radio 6PR. Trevor has called every major horse racing and harness racing event in Western Australia including 13 Perth Cups, 5 Pacing Cups and two Interdominion Championships for both radio and television. In 1978 Trevor called the English Derby at Epsom Downs for a national audience. Trevor has had a long association with the Western Australian Turf Club including broadcasting races through the TAB station, and on course at Pinjarra from 1974 to 1986. He has also covered all other TAB country tracks in that same period and obtained a great respect from the racing industry. 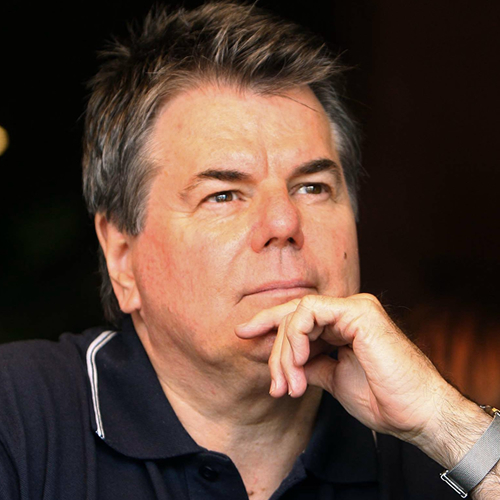 In 1986 Trevor joined the ABC as a sports journalist where he has presented the sports news reports on television for the past 25 years. At the ABC Trevor was also responsible for broadcasting cricket and football. He has broadcast AFL football as well as local WAFL football and hosted the WAFL Sandover Medal Presentation on ABC TV for some 15 years. Trevor is also an extremely experienced cricket commentator and has broadcast international Test matches, One Day Internationals and Sheffield Shield Cricket. For two successive years Trevor was selected as the Western Australian Cricket Association’s Cricket Commentator of the Year. Recognised as one of Perth’s best masters of ceremonies for corporate and sporting events Trevor has hosted some of Western Australia’s most prestigious functions. He is also an articulate and entertaining speaker who can provide a presentation on a variety of topics including parallels between business and sporting success. Trevor is also an accomplished trainer, who for the past 12 years, has conducted training for executives on media skills, public speaking, voice production and communication.